Unity Napa Valley: Lynne reported that the congregation used a matching grant for goats in Nepal, and has so far provided gifts to benefit nine families. Their new goal is to provide a water buffalo. The practice of giving honor gifts is on the rise. California Kindergarten Conference, Santa Clara, 1/16-1/19/2014: Lynne made arrangements with friends who have a booth at the conference; they are displaying and distributing Read to Feed materials for us. Sebastopol UMC: Heifer received generous donations at an alternative giving table on three Sundays in Advent. The check has been routed through Jill’s office. 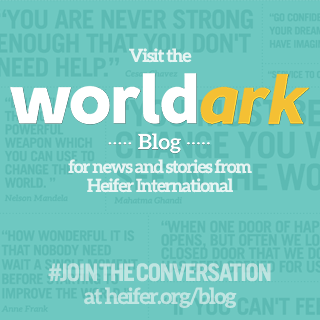 Two Sunday School teachers have expressed interest in Heifer curriculum. They were provided with an Animal Crackers kit and leader guide as well as links to “Feeding 5000” on the web. Lincoln School, Santa Rosa, raised funds for Heifer last semester, continuing fruit of our contact there. Apple Blossom School, Sebastopol, also raised funds for Heifer last semester. We don’t know who initiated it. Jill and Mary will try to identify a contact person there so that we can offer support. Research for possible tabling: Dotty contacted Zen Fest. They do not include other non-profit tables at the event. Dotty is on the e-mail list for Transition Sebastopol and will monitor their events for possible Heifer connection. Linda will put heifersonoma on The Grange’s e-mail list so that we can do the same with that group. 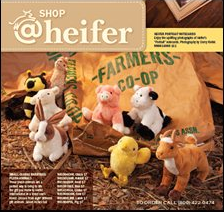 Joyful Noise concert: Linda reported that the choir is willing to do another fundraising concert for Heifer. Pros and cons of a Mothers’ Day concert were discussed. Linda will consult choir members and director re: dates. Linda reported on her trip with Caroline to the First Presbyterian Church of Ft. Bragg, where they were warmly welcomed and presented an Ark certificate. Read to Feed promotion beginning in February will involve nationwide distribution of material, follow-up phone calls by staff and volunteers, an offer of 30 books to classrooms who have raised $600. plus. Details reviewed. Oak Grove School in Graton will initiate a Read to Feed program in the 4th and 5th grades (5 classrooms) on Feb. 3. Debra Leonard, teacher, has requested a speaker for the kickoff event. Linda will contact her. Sonoma State U. teachers’ certification class: As part of their social studies methods course student teachers are required to develop a service learning project for their elementary students. Jill has received a request for a speaker. If we can find a date good for all concerned, Mary can speak about Heifer's work and Linda can walk the students through the website. Neither of us feel prepared to talk about the curriculum itself. Mary will get back to Jill on this. We have received a donor complaint re: a telemarketing call from Heifer. Mary will ask Jill to direct the feedback to the appropriate channel. Annual signing of code of conduct forms: Because some volunteers are having difficulties in use of the website and because we are not using our Google account to its full potential, Linda will conduct a tutorial at our next meeting. We will gather at our usual meeting room at the church and then proceed to a room at Taylor Maid Coffees, where wi-fi is available. 0 Response to "Heifer Sonoma Minutes for 1/18/2014"